The Zinus wood platform bed with cottage style headboard will beautifully update your bedroom. The wood frame and legs are made of pine to support your memory foam, latex, or spring mattress. 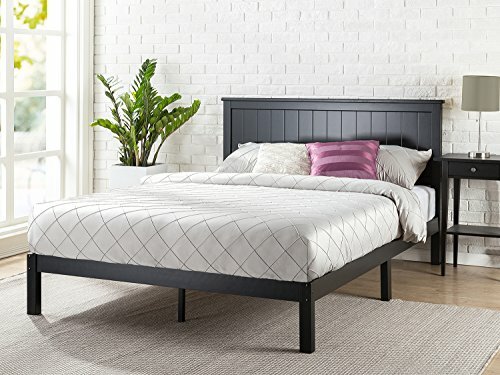 This Zinus platform bed is 12 inches high and designed for use with or without a box spring foundation. Stylish and strong support for your mattress at an affordable price. Another comfort innovation from Zinus.